Katcha Bilek has always had a passion for transforming things rather than throwing them away. In her 20′s she travelled all over Europe and learned several languages, giving a multi-cultural outlook to her art. 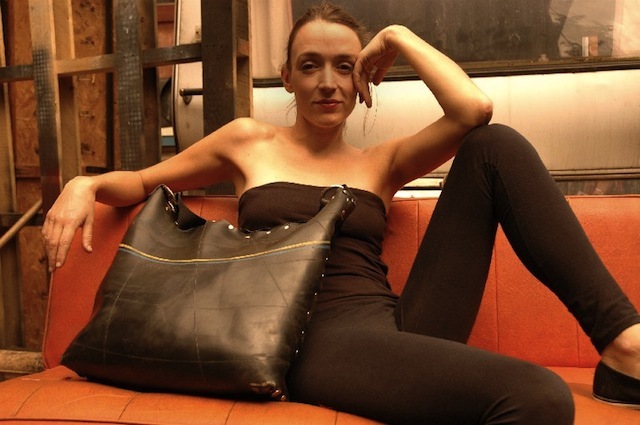 In 1999 while living and traveling in a converted fire truck, she began making bags that utilized the leather techniques she had learned during travels to Spain, out of used and readily available inner tubes. Katcha’s current collection, Re-Collect, consists of a series of bags and purses made from used truck inner tubes and old car seatbelts. Each one is handmade and unique- cut and sewn in Katcha’s Bristol workshop. In addition to being recycled and collected locally, the materials used act as a wonderful alternative to animal products. 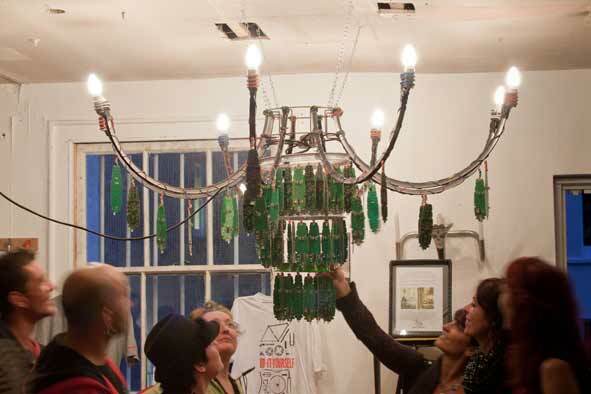 You can catch a glimpse of one any time at the Hamilton House on Stokes Croft, alongside many beautiful designs by other talented artists.